"Professional Corporate Mobile Disco Entertainment"
Whatever your event may be, Supreme Discos can provide you with high end mobile discos. I strive to ensure that your corporate event, wedding or party function is a success. 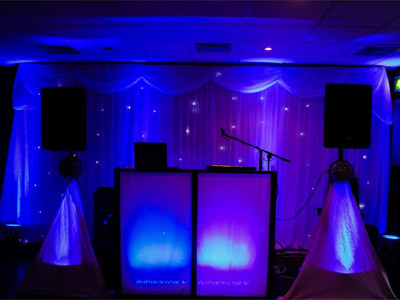 Our business is experienced in providing professional disco entertainment for weddings, bar/bat mitzvahs and corporate events to clients that want something unique and special. No third party! We carry professional-grade modern equipment set up tidily and safely with an emphasis on looking great as well as sounding great. Our professional attitude, attention to detail and commitment to a successful event has resulted in a very high client satisfaction rate. Most of our work is now gained through referral. We consider ourselves to be wedding and corporate specialists and will go out of our way to ensure that your event is something very special and unique to you. 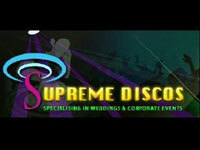 .What Supreme Discos offer to prospective clients, I sell an experience, a service an event and more. I don't just sell music lighting, but a musical lighting experience that adds to the ambiance atmosphere and decor of the room. I am a planner /organizer/director/DJ and most importantly the Host and Master of Ceremonies for all functions, that I attend. Required by many venues, Supreme Discos has a current PLI policy with AMP DJ in the amount of £10 million. Also required by many venues, Supreme Discos has supplied satisfactory evidence of holding current PAT inspections of their equipment dated within the last 12 months. A Method Statement, outlining Supreme Discos&apos; Health & Safety procedure for setting up disco equipment has not been supplied. Why do people choose to book Supreme Discos? he was the only one who phoned and gave me details. "Robbie was fantastic. We spoke a few times before the event and he was always helpful and easy to contact. The equipment was perfect and all guests seemed to enjoy the music and hit the dance floor. I would highly recommend Supreme Discos. " "Thank you for you kind comments "
"Very happy with Robbie's handling of my party from the outset. Very refreshing to be able to have telephone conversations with him rather than handle everything by email! The Karaoke music choice was extensive and the dance playlist perfect for my mixed age range. 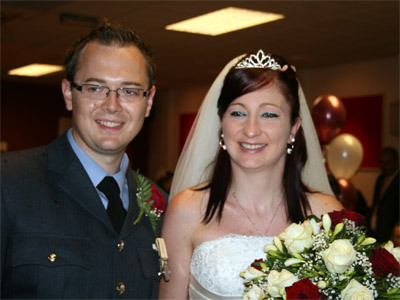 We also ordered a photo cd which is a fantastic souvenir of a brilliant evening! Many thanks Robbie and Son! " "Thank you for you kind comments Great evening"
"Robbie was happy to accommodate our playlist and then add some of his own picks. He took photos of the guests arriving which he sent through to us which was good, provided a general overview of everything as we didn't have a photographer." "Thank you for you kind comments glade you liked photos help set the evening with your guests"
"It was a great night, it was suggested that I printed out song requests slips for my guests to fill in. Only 1 song was not available, shame as that was going to be our special slow dance song. We had another one instead. Really professional, friendly DJ and assistant. We booked with Robbie Edwards but it was not him on the night." "thank you for your kind comments"
"Robbie was very professional and did a great job would definatley recommend !" "We had thought that we were getting the guy who owned the Company. We had spoken to him a couple of days before the event and even on the day. On the night however he sent a stand-in without letting us know. Even though the contract stated that they would provide a stand-in if there was a problem, we felt he could have let us know when we spoke to him earlier in the day that he wouldn't be doing it. The guy he sent was nice enough and responded to our requests for different types of music but never really got the crowd dancing. To be honest we'd have probably got more dance action by playing Heart Club Classics all night. He mentioned that his equipment was playing up some of the time. Very disappointed and very unlikely to recommend." "One of my children was rushed to hospital late on the Saturday, Managed got a back up dj to cover while i was with my child in hospital. " "Fantastic night celebrating my retirement from the Police service - the dance floor was never empty, DJ Robbie Edwards made the night memorable - Thank you so much. Definately recommend this DJ." "thank you for all your kind commence and thanks for booking with me at supreme discos"
"Robbie and his son put on a brilliant set for a family 50th birthday party. They managed to keep both young and old dancing until the end, and played all individual requests! Definately recommend! 5 stars !!!" 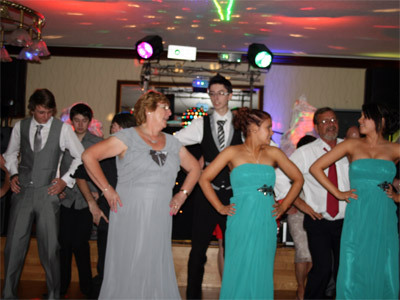 Supreme Discos also offers a range of additional party services not directly linked to musical entertainment. 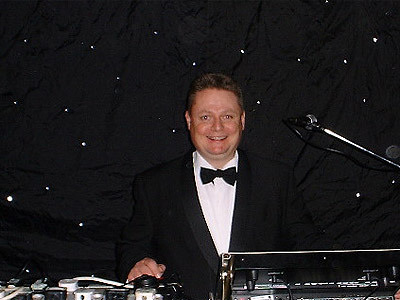 Get FREE no-obligation disco quotes from Supreme Discos and other DJs covering your venue. Take 2 minutes to fill in some basic details and we'll do the rest! If you are contacting Supreme Discos about an event, it's always a good idea to include the DATE, LOCATION, EVENT TYPE, AGE GROUP and TIMINGS to speed things up!